432 Hz, a new concert pitch? Standing waves (or stationary waves) are the result of refraction and interference. Refraction is the reflection of sound. A sound wave traveling through space will eventually meet some kind of surface. When that happens, the sound wave will be reflected back by that surface. Have you ever clapped your hands in a big empty room? If yes, you have noticed that sort of “echo” coming back from the walls. That is because the walls are reflecting the sound waves generated by your hand clapping. The reflected sound reaches your ears later than the original sound, therefore creating an echo. The same goes for the long reverberations that you experience when you make a sound inside a big church. Interference is the way many waves interact with each other. If you throw a pebble in a pond where the surface of the water is relatively still, you will see concentric waves spreading ours from the place where the pebble has hit the water. If you throw two pebbles in two different spots of the pond, you will see two series of concentric waves spreading out from each spot. At some point, these two waves will touch each other and create a ripple. The ripple is the result of interference between the two waves. In the previous section, we have defined the positive and the negative phases of a sound wave. Let's imagine that two waves of the same frequency overlap. If the positive and negative phases of wave 1 and wave 2 coincide, the two waves will interfere with each other “constructively”. If the negative phase of wave 1 coincides with the positive wave of wave 2 (or vice versa), the two waves will interfere with each other “destructively”. Constructive interference leads to an increase in amplitude, whereas destructive interference leads to the canceling of both waves. A standing wave is produced when one wave traveling in one direction meets a surface that reflects the wave back so that a similar wave starts traveling in the opposite direction and it matches the length of the source wave. This only happens at specific frequencies depending on the distance between the source of the sound and the reflecting surface. Now we have two identical waves traveling in opposite directions. Every time the positive and negative phases of the two waves match, in those exact places in space, a constructive interference takes place, creating a wave of higher amplitude that appears to be stationary (motionless). In this animation, the red wave travels in one direction while the green wave travels in the opposite direction. The blue wave is the standing wave resulting when the positive and negative phases of the red and green waves coincide. Standing waves are used to create acoustic levitation. 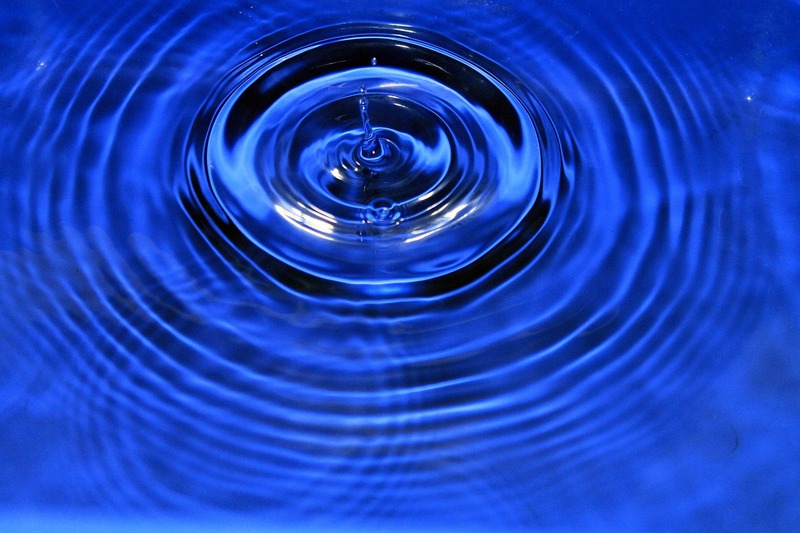 Researchers have been able to place drops of water or tiny objects on the “antinodes” of standing waves (the areas where the amplitude is higher) created in laboratories and they would be sustained by the power of sound. They would only fall down once the standing wave is canceled by changing the frequency of the original wave, which at that point no longer matches with its reflected opposite. It is a widespread theory that some ancient civilizations understood these principles and were able to use acoustic levitation.